ARD/1000/9/10+TT/170/50/60°+VP1000LT+2PP+PS+QE - A.G.R. Filtri s.r.l. 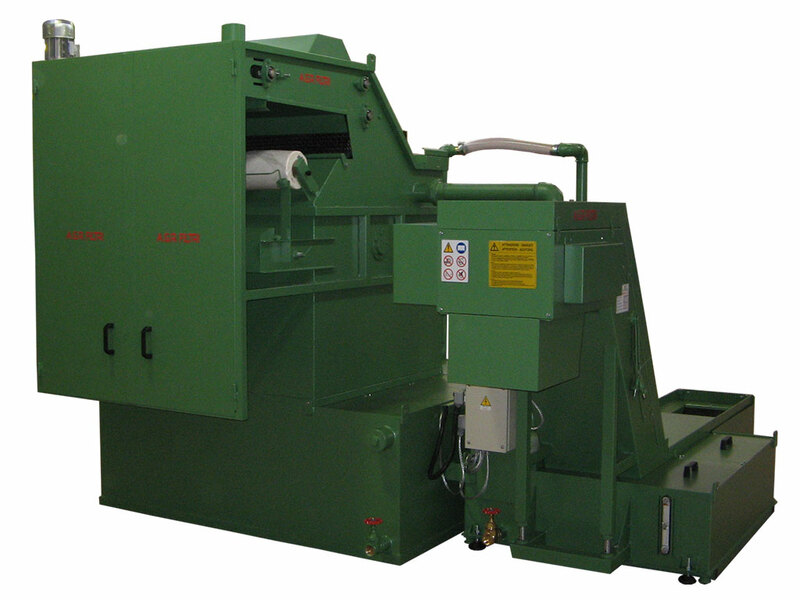 This system is used to filter medium-viscosity neat oil, used by a transfer machine, contaminated by carbon steel particles, flakes and tangled material. 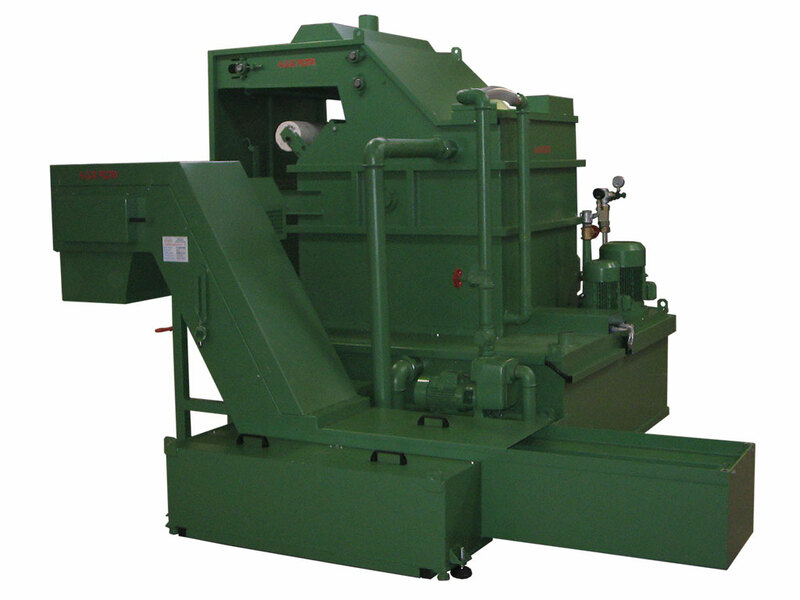 It consists of a TT series hinged plate conveyor where the input oil is separated from the tangled material and largest flakes; the pre-filtered oil is then pumped to the ARD series filter where filtration occurs. 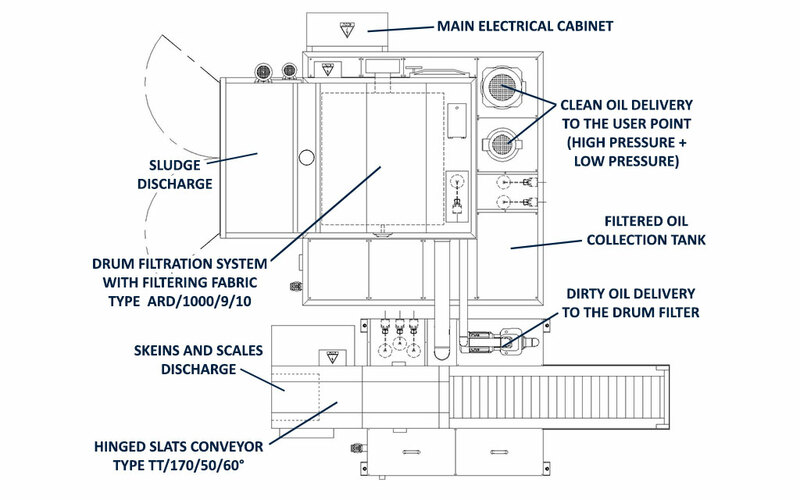 The filtered oil is discharged and collected in the tank below where high- and low-pressure pumps are installed to recirculate the clean oil for re-use. The electrical panel automatically controls all the system functions and is connected to the machine transfer control panel for remote management.